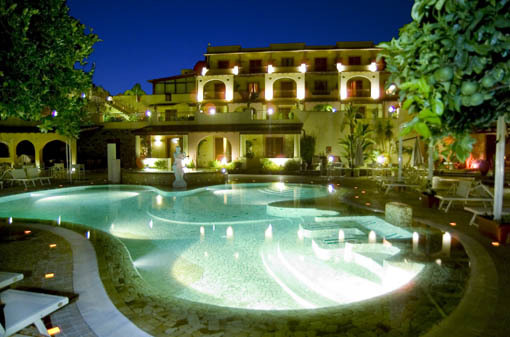 It is an elegant Mediterranean style property overlooking the sea and features a Wellbeing-Centre, swimming pool and hydro massage pool with thermal water (From the volcano). The Hotel provides a relaxing environment where you can sit back and enjoy a pool-side drin or walk through the beautiful garden rich in local and tropical plants. 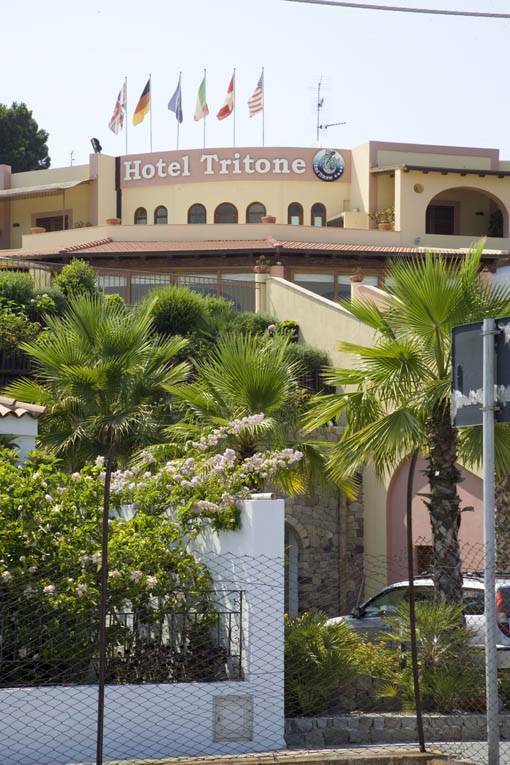 The Hotel is located only a few minutes from the centre of town and the Portinente beach. 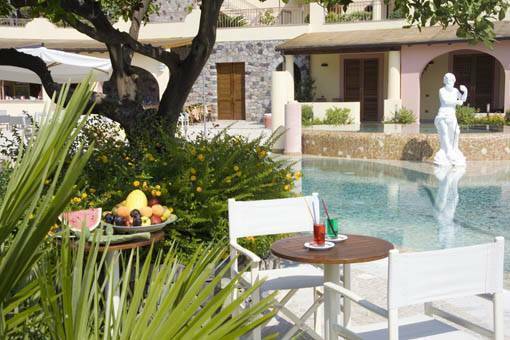 There are 38 rooms and 1 suite, all are soundproofed and offer a private balcony or terrace - on request with sea view. The feeling of luxury goes right through to the bathrooms where marble, hydro massage showers and bathtubs are standard fit. In all rooms guests will find hairdryer and bathrobes, mini bar, satellite tv, SKY TV, internet connection, air conditioning and heating, non smoking rooms. The Hotel's Restaurant offers fabulous meals in its elegant restaurant, serving typical Mediterranean and Aeolian cuisine à la carte with only the freshest Aeolian products. There are 38 rooms and 1 suite, all are soundproofed and offer a private balcony or terrace - on request with sea view. The feeling of luxury goes right through to the bathrooms where marble, hydro massage showers and bathtubs are standard fit. Elegant restaurant serving typical Mediterranean and Aeolian cuisine à la carte with only fresh Aeolian products. By car: Highway del Sole (Salerno-Villa San Giovanni free of charge), once arrived in Sicily, proceed on the Highway Messina - Palermo, off ramp Milazzo - Isole Eolie - Harbour. Take a ferry or hydrofoil to Lipari.